So I’ve been eyeing those Zoku quick pop makers for over a year, but had so far convinced myself that it was just an extra kitchen gadget that I didn’t need. Well that is until last week, when I found one at a small kitchen boutique store in DC and decided that I had to have one. And while I have to say it is totally unnecessary because there’s nothing wrong with the old school popsicle makers, it is kinda fun. 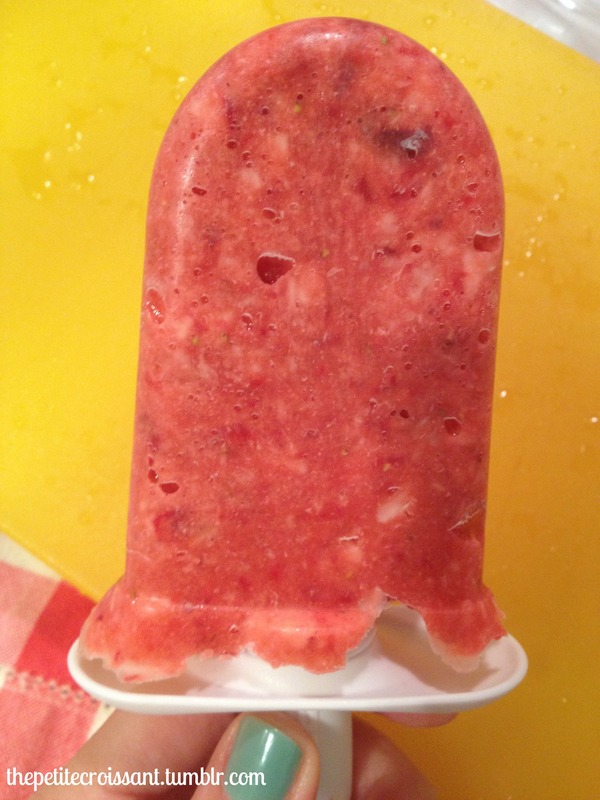 Last night I decided to make some last minute popsicles for dessert and they were ready in 10 minutes. Pretty fantastic. I plan to try out lots of fun recipes over the course of the summer, so you’ll likely see some more posts like this. But here’s the first.